Digital Marketing Agency Blogs List. The Best Digital Marketing Agency Blogs from thousands of Digital Marketing Agency blogs on the web using search and social metrics. Subscribe to these websites because they are actively working to educate, inspire, and empower their readers with frequent updates and high-quality information. Digital Marketing Agency newsletter is a comprehensive summary of the day's most important blog posts and news articles from the best Digital Marketing Agency websites on the web, and delivered to your email inbox each morning. To subscribe, simply provide us with your email address. About Blog TopRank Marketing was established in 2001 and under the leadership of co-founders Susan Misukanis and Lee Odden, has earned a reputation as a first-choice digital marketing agency for major brands including McKesson, Dell and LinkedIn. Follow this blog to grow your business with original digital marketing content from TopRank Marketing, trusted by thousands of smart marketers every day. Facebook fans 47,370. Twitter followers 37,073. Philadelphia, PA About Blog 1Digital Agency is a group of expert Ecommerce guru's that specialize in website design, development & digital marketing based in Philadelphia, PA. This blog provides guidance, tips and tricks for website design, development & digital marketing. Facebook fans 4,074. Twitter followers 704. About Blog 360i is an award-winning agency that helps brands capitalize on change. The 360i blog provides insight into the changing marketing landscape. We’ll break down the headlines and simplify the complex in a way that’s both helpful and actionable for brands connecting with consumers in the Digital Age. Facebook fans 24,267. Twitter followers 29,637. London, UK About Blog DAN is a global digital agency network which focuses on collaboration, knowledge-sharing, business support and exploration. Facebook fans 4,610. Twitter followers 6,366. India About Blog afaqs is an Indian advertising, media & marketing portal that provides agency news in digital, media, television, ads, brand, print ad, radio marketing and many more media & marketing related services. Facebook fans 104,011. Twitter followers 36,364. St. Petersburg, Florida About Blog Revital Agency is a leading digital marketing agency in Tampa, FL specializing in SEO, web design and development to increase your sales and help you succeed. Check out Revital Agency's digital marketing blog and get the tips you need to make your marketing a success. Facebook fans 1,713. Twitter followers 3,783. Orlando, FLorida About Blog Marketing Nutz is a social media training and consulting agency serving small business owners, entrepreneurs, franchise organizations to Fortune 10 brands. Social media, social business, facebook, twitter tips. This blog contains information on Social business audit, social media strategist, social brand, social media training. Facebook fans 3,575. Twitter followers 34,747. San Francisco, CA About Blog A community for people working in advertising, creative, design, pr and web agencies. Facebook fans 1,202,249. Twitter followers 567,478. London and Southampton, UK About Blog Koozai's Award Winning Digital Marketing Blog brings you the latest news and information on SEO, PPC, content Marketing and Social Media and more. Facebook fans 7,031. Twitter followers 7,028. Facebook fans 3,520. Twitter followers 3,087. Bangalore, India About Blog Paul Writer is a B2B marketing agency that helps firms connect with current and future customers. Through our unrivalled access to senior executives in top organizations, we can deliver insight and expertise that helps enterprises reach and build meaningful relationships with their customers. We curate platforms and opportunities for the executives in our network to benefit from peer insights, structured learning, focused product knowledge, and recognition. Facebook fans 3,953. Twitter followers 4,700. Lebanon, IN About Blog We are an Indianapolis Digital Marketing Agency. Our wheelhouse includes online video production, website design, graphic design, and brand support and nonprofit marketing. Everything a marketing agency needs. Facebook fans 301. Twitter followers 506. Nashville, TN About Blog Social Link is the Nashville's best digital marketing agency in website design, app development, seo, graphic design, social advertising and content generation strategy. Social Link invites you to enjoy premium content on the VirtualAF blog where everyone is virtual and free, virtual and fab, virtual and fun. Facebook fans 1,032. Twitter followers 491. About Blog We work in the most exciting sectors of business, SME's & start ups, to deliver results, fast. It's our mission to help the bold and brave realise they're ambitions online, to reach your goals and objectives. We offer high performance wordpress websites, Google Ads & a passion for what we do. Perth About Blog We offer a wide range of Digital Marketing & Web Development Services. Our services include web design, web development, Social media marketing, SEO & more. San Diego, CA About Blog Digital Operative works with lifestyle brands to solve their challenges and grow their bottom line through ecommerce, engagement and experiences. Follow this agency blog which features POV on digital marketing, ecommerce and design for brands who are targeting today's anywhere consumers and online shoppers. Facebook fans 721. Twitter followers 2,157. Oklahoma City About Blog BigWing is a full-service digital marketing agency offering SEO, PPC, social media, content marketing and more so you reach the right customers online. Follow this blog to get digital marketing tips and tricks. Facebook fans 1,613. Twitter followers 952. Chicago About Blog Killian Branding is a branding agency evolved for the digital age. We build, analyze and create brands. Follow this blog to know more about branding, PPC and SEO. Facebook fans 462. Twitter followers 649. Cleveland, Ohio About Blog The Marketing Agency Insider blog serves up a mix of original and curated content, industry news, interviews, case studies and more on the marketing services industry. Facebook fans 1,256. Twitter followers 2,236. Chicago, IL About Blog The Simons Group is a Chicago B2B marketing agency specializing in traditional and digital. Follow this blog to know more about content marketing, email marketing and branding. Facebook fans 98. Twitter followers 132. Los Angeles, CA About Blog Sagon-Phior is a integrated branding and marketing firm specializing in emotion marketing, which uncovers the most effective ways to motivate response and generate revenue. From healthcare to technology and from banking to real estate , emotion marketing creates powerful differentiation through human interaction. Follow this blog which shares opinions, research and discoveries about marketing, emotions, target markets, digital media, storytelling and the business of branding. Facebook fans 695. Twitter followers 448. About Blog The Creative Agency Podcast is about growing and finding success in the creative services industry. Learn how to find success in a competitive and challenging field that is constantly changing. The show is centered around entrepreneurs and innovators who have found success in the creative services industry. 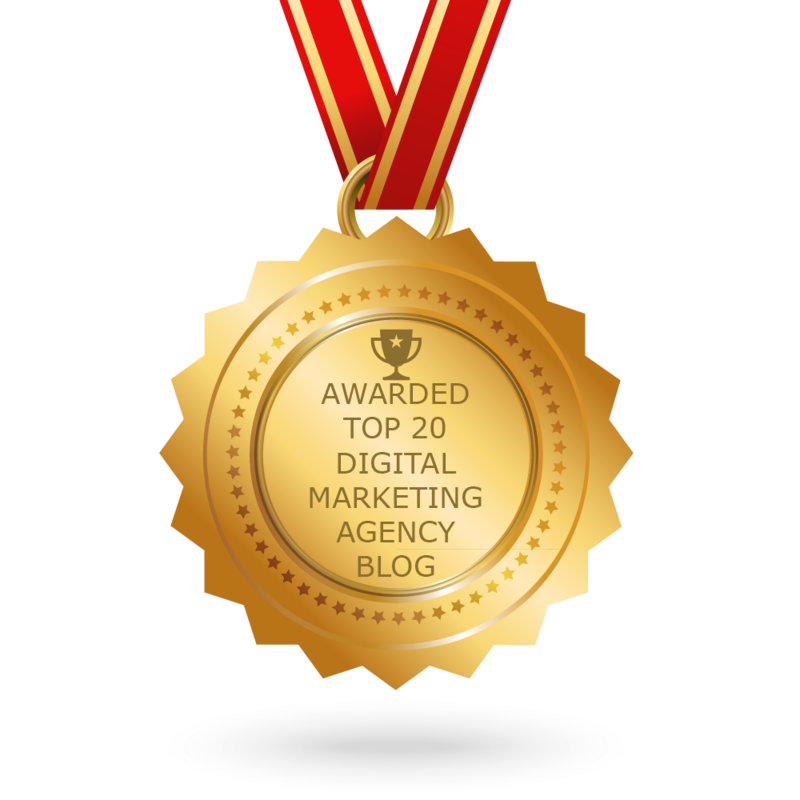 CONGRATULATIONS to every blogger that has made this Top Digital Marketing Agency Blogs list! This is the most comprehensive list of best Digital Marketing Agency blogs on the internet and I’m honoured to have you as part of this! I personally give you a high-five and want to thank you for your contribution to this world.